When old people start to rebel there’s nothing good going to come out of it. This book is the story of five pensioners living in a retirement home Diamond House in Stockholm, Sweden. The food is plasticky. They get locked up in their rooms and they rarely get to go out of the home for a walk. In addition they’re given odd pills that make the residents in the Diamond House lethargic and sleepy. But things are going to change for five of the residents there. Three ladies and two gentlemen have decided to take their retirement into their own hands and show what old people are capable of doing (and what no-one would suspect them of doing). Simple rebellion and sneaking around the retirement home isn’t enough for the main characters and they decide to start on a criminal path. We meet some lovely characters who have known each other for years having sung in the same choir. They’re all advanced in years beyond 70 and they’re trying to make the years they have left more fun and comfortable. It was definitely entertaining, the plot is fast-paced (although the characters might not be) and there’s plenty of excitement in it. 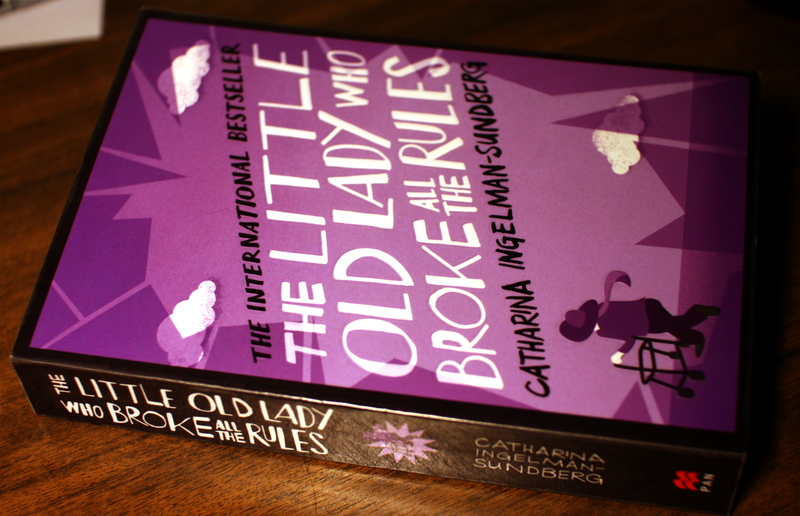 This entry was posted in Fiction and tagged book review, Catharina Ingelman-Sundberg, The Little Old Lady Who Broke All the Rules. Bookmark the permalink. Uh, oh. Not serious crime, I hope. Would be interesting to see them climb over windows with rickety knees. No, nothing as serious as a murder or anything. But there are certainly funny parts where the characters are definitely not acting their own age. No climbing through windows in this one though.